Due to the high engagement factor, it is expected that spend on mobile video ads will remain strong in the coming quarters and into next year. 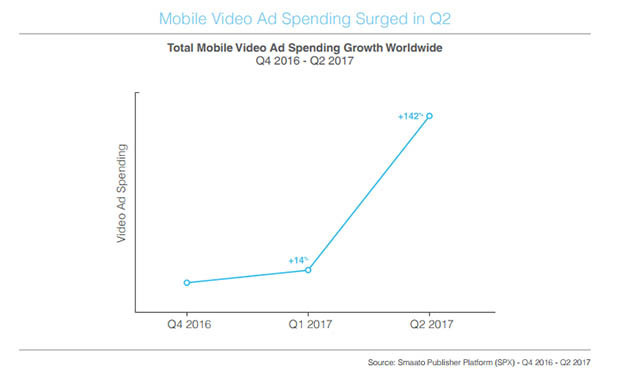 The huge spend increase in mobile video ads follows a more general trend towards mobile, with the Smaato data revealing that mobile ad spend and mobile ad values overall thrived in the period April – June. Mobile ad spend growth was biggest in the Americas, followed by the Asia-Pacific region. Recognising the continuing growth of video, tech companies are also boosting their features to help video ad content producers create and measure effective content. Hot on the heels of last week’s announcement that new AdWords dashboards to increase customization and collaboration were on their way, Google has revealed details of four new AdWords tools to better connect with audiences and measure impact on YouTube. Google will expand its Custom Affinity Audiences to help advertisers deliver more relevant and useful YouTube ads. This expansion means AdWords advertisers will be better able to target ads to reach viewers based on the searches they do or the apps and places they like. AdWords is introducing a new feature called Director Mix. This tool gives advertisers full control to create different versions of the same creative, tailored for custom audiences. Intended to make personalization at scale more affordable, advertisers input the various components of their video ad (backgrounds, voiceovers and ad copy) into Director Mix. It then creates multiple variations of the ad to match the advertiser’s custom audience segments, removing the cost and time needed for the advertiser to create custom creative independently, and ensuring ads are highly relevant to each custom audience. Video ad sequencing is a new feature that sits within AdWords Labs. It gives advertisers the tools they need to create a unique ad experience which unfolds over time depending on consumer reaction. This tool means advertisers can be reactive rather than tied to a single video ad narrative, and lead consumers down different paths with different ads as appropriate. The fourth in AdWords’ quartet of new tools and features for improved video ads on YouTube is new measurement options. Advertisers will be able to use a new global approach to measure sales lift, using Nielsen MPA (Matched Panel Analysis), which helps advertisers to determine which of their online ads resulted in offline sales. Google says in its research, video ads drove sales in 14 of 19 cases. 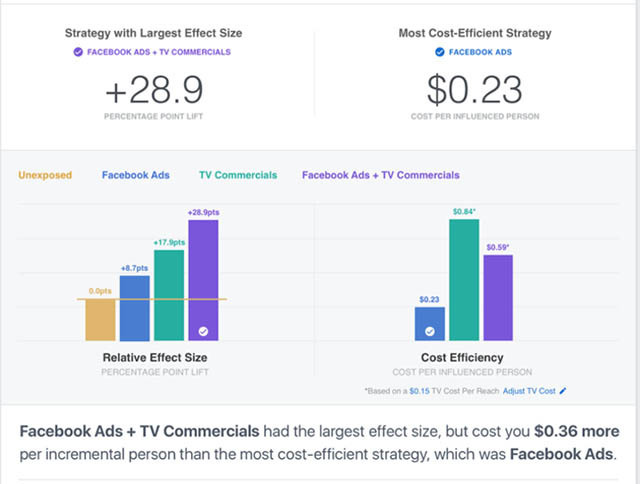 Facebook has also introduced new measurement options for advertisers, helping them to compare the impact of their Facebook ad campaign with that of their TV ads. The new measurement tool comes as part of the social network’s partnership with Nielsen and will make it easier for advertisers to interpret cross-platform data, allowing advertisers to measure brand lift and directly compare and contrast advertising effectiveness. 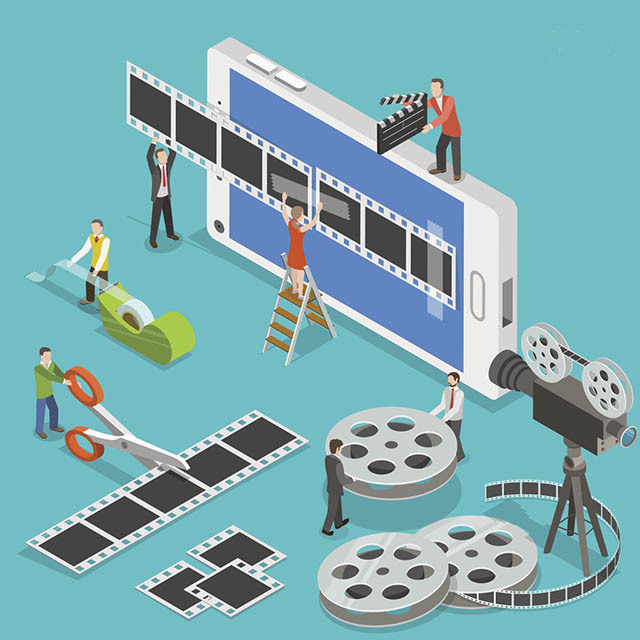 Want to find out more about using video and harnessing its usefulness? Read our latest blog post on video content and why video production should be part of every SEO and link building campaign.